When you begin any new project, you need to understand the geography of the area you are researching. It is possible that it’s an entirely new location, an unfamiliar county or state, and understanding where you are researching can have a profound effect on who you are researching. My first step is usually to Google the county. I look at it on a map, I look at its entry in Wikipedia and I’ll look at the FamilySearch Wiki to see what’s been written about it. I will do a quick scan of the Ancestry.com card catalog and the Family History Library catalog to see in general what holdings and databases they have available. I will also see if there are any local genealogical societies, historical societies, libraries, archives, courthouses, and so forth. In essence, I create my own locality guide. Sanders Scroggins and Sarah Dimick lived in Hardin and Gallatin Counties which are in the southern tip of Illinois along the Ohio river. Hardin County was created out of Gallatin County, so some of the records I might need may be in one or the other of those counties. When you are researching a new area, be sure to learn about county formation and boundary changes. 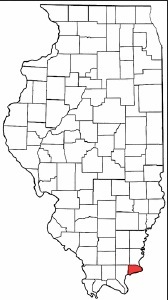 Locate a county history to learn more. These are readily available through Google Books, FamilySearch Books, Internet Archive, Hathi Trust or sometimes through local library, university or historical society websites. 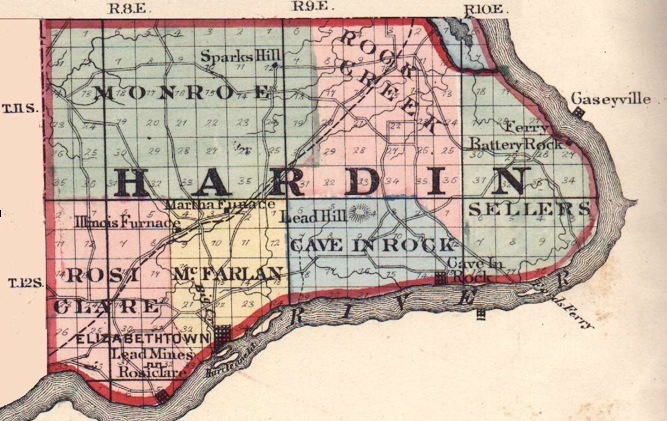 The History of Hardin County, Illinois was very helpful in understanding the migration to and from this county on the Ohio River. The area was largely settled by people moving from Tennessee and Kentucky, mostly Irish. Some English and French settlers arrived early on before moving farther west. The book also contains some information on the first pioneers, agriculture, Ohio River transportation, and much more. Familiarizing yourself with the geography of a new area can help you understand where records might be located and how the people may have traveled. This is an essential first step when undertaking any research in an unfamiliar area. Good job. Clear and concise! I agree Cari, This seems to be a lost step for many. I recently went and experienced my ancestral counties in SW PA, boy did I get a new perspective. Thanks for reading Eric! This was a step I had to learn to do. Early in my genealogical life I didn’t want to waste the time… but now, I know better and can do better, more reliable and consistent research.